From primary and community services to high street pharmacies, secondary care and specialist services, we provide healthcare software solutions that you need to deliver better quality of care with high efficiency and financial savings. A comprehensive software solution to keep track accurate and legible diagnostic reports of your patients in one practice. A streamlined software solution to view the previous medical history of each patients, which reduce the chances of data replication. A powerful and easy to use software solution for both patients and doctors to schedule and manage their appointments. Fully customised software solution for large to mid sized hospitals to manage their day to day activities. Our Healthcare Apps provide integrated portals with a wide range of features such as appointment booking and scheduling, administration and health insurance management, booking history,rating and review, access to medical records etc to maximize quality outcomes to achieve a healthier bottom line for your medical practice. Our hospital wayfinding solution can change the way hospitals are viewed. This is a highly effective tool for guiding patients around from a stressful and crowded place, to a reliable and easy-to-navigate facility. Improve the patient and visitor experience with our all-in-one wayfinding digital signage solution for hospitals. 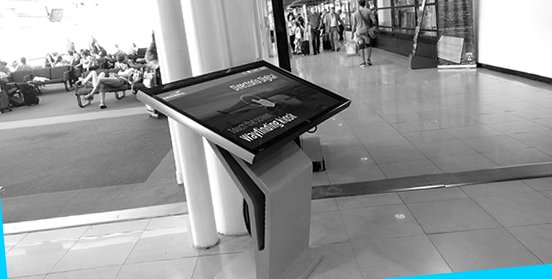 Our Digital Signage Wayfinder solutions are interactive, easy to navigate, and up-to-date. 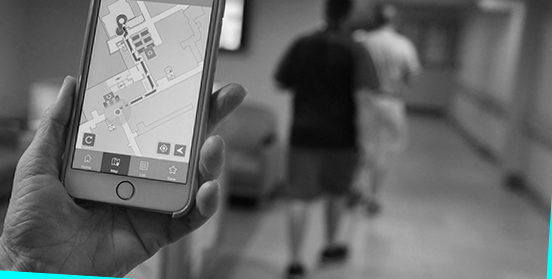 Along with wayfinding digital signage, BLE beacon based app can also enable hospitals to improve location and proximity awareness, creating a more familiar and efficient environment for patients and visitors. Assist with indoor and outdoor navigation, check-ins, pharmacy, etc. Maintaining a positive online reputation is critical. Our Healthcare Social media and proximity Marketing have the ability to ramp up your online presence, to build a successful healthcare brand, and to attract more patients for your smart hospital to stay fit. From hospitals to the entire healthcare Industry we deliver IoT solutions, with the goal of reduce the health care expenditure with better quality care. 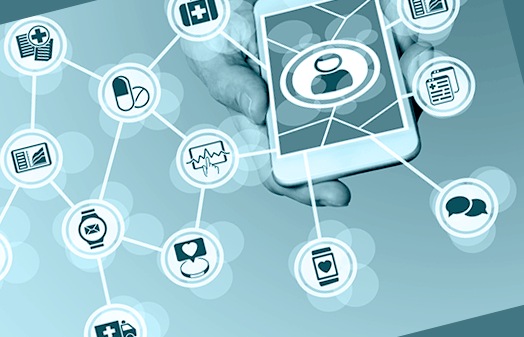 Our IoT infrastructure solutions development in healthcare include home monitoring, remote care, asset tracking, healthcare proximity marketing and patient engagement. Our IoT healthcare software solutions has the potential to not only keep your patients safe and healthy, but to resolve all the healthcare delivery challenges to meet the expected parameters of quality and efficiency at all levels. "Medicine is Not Technology But Technology is Medicine"
Technology will open the door to a world where medicine is democratized and decentralized for better, faster and cost-effective patient care.